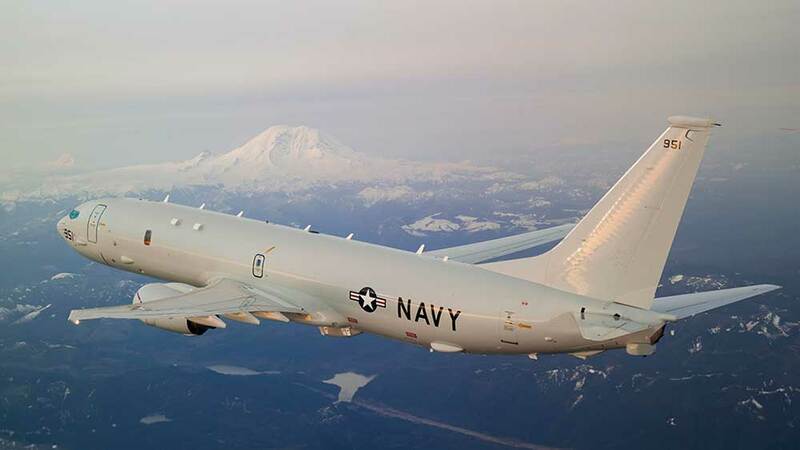 SEATTLE — New Zealand will buy four Boeing (BA) P-8 Poseidon maritime surveillance and anti-submarine warfare planes, as the U.S. ally steps up operations in the South China Sea. The P-8s, which will replace New Zealand’s P-3 Orion fleet, will cost $1.6 billion and include training. They will be ready for operations starting in 2023. The order comes as New Zealand and other U.S. allies look to counter China’s more aggressive stance in the region. Boeing stock rose 2.2% to 341.92 on the stock market today, still below its 50-day moving average. The U.S. Navy is the biggest customer for the P-8 and has 120 planes on order. But international sales can help keep costs down. Lower costs aren’t the only advantage as tensions rise in the South China Sea and with Russia. “Everyone flying those jets work perfectly well with one another — compatible, interoperable; working together, all flying P-8s can share maintenance facilities,” Tripp said. More foreign sales are expected soon and Tripp said his goal was to have two to three more customers signed up in the next two years. South Korea picked the P-8 in a contract worth $1.71 billion, a Boeing official told Reuters last month. Tripp said it was difficult to determine the exact timing of foreign orders as the State Department and Congress must approve all foreign military sales before the contracts become official. Only then can Boeing start work on the surveillance planes. Other potential customers include Saudi Arabia. During President Donald Trump’s visit to the kingdom last year, Riyadh announced $110 billion in tentative arms deals, including the P-8. Saudi Crown Prince Mohammed bin Salman visited Boeing’s Seattle-area facilities during his U.S. tour earlier this year. Turkey is looking for a longer-range patrol aircraft to supplement existing planes. But military hardware sales to Turkey are in question as Congress considers blocking the sale of the new Lockheed Martin (LMT) F-35 jet. What Is The Boeing P-8? The P-8 is a modified Boeing 737-800ERX, replacing Lockheed’s P-3 Orion turboprop. The aircraft uses a high-power radar to scan for ships and submarines and a modified radar from the Boeing EA-18 Growler to scan for targets on land or near the coasts. Once a submarine is spotted, the aircraft can deploy sonobuoys to track and relay information about the location of hostile submarines. Or the plane can launch weapons like the Raytheon (RTN) Mark 54 Lightweight Hybrid Torpedo or Boeing’s AGM-84D Harpoon anti-ship missile. Winged torpedoes with a GPS guidance system are in development. Demand for anti-submarine capabilities is rising as China has accelerated its submarine building, increasing tensions in the South China Sea. Russia used submarines to launch strikes in Syria and has increased submarine activity in Europe. But the P-8 also assists in search and rescue efforts. It was involved in the search for the missing Malaysia Airlines jet, MH370, in 2014 and Argentina’s missing submarine in 2017. The body of the jet is built in Boeing’s current 737 production line in Renton, but with some modifications like a thicker skin, stiffer wings and a bomb bay door. Then the jet is flown down the street to the P-8 facility near Boeing Field. There it gets militarized and completes final testing. While 47 737s are built per month at the commercial factory, the P-8 facility completes 1.5 P-8s per month. Raytheon was up 0.7% and Lockheed wasn’t active early.